Deciding validity of Metric Temporal Logic (MTL) formulas is generally very complex and even undecidable over dense time domains; bounded variability is one of the several restrictions that have been proposed to bring decidability back. 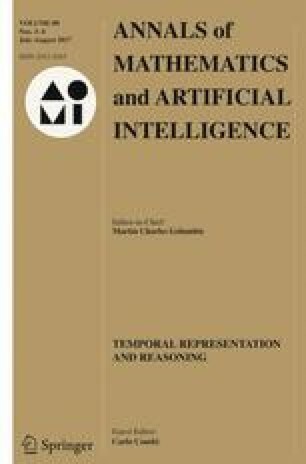 A temporal model has bounded variability if no more than v events occur over any time interval of length V, for constant parameters v and V. Previous work has shown that MTL validity over models with bounded variability is less complex—and often decidable—than MTL validity over unconstrained models. This paper studies the related problem of deciding whether an MTL formula has intrinsic bounded variability, that is whether it is satisfied only by models with bounded variability. The results of the paper are mainly negative: over dense time domains, the problem is mostly undecidable (even if with an undecidability degree that is typically lower than deciding validity); over discrete time domains, it is decidable with the same complexity as deciding validity. As a partial complement to these negative results, the paper also identifies MTL fragments where deciding bounded variability is simpler than validity, which may provide for a reduction in complexity in some practical cases. The first author’s work was partially done at the Chair of Software Engineering of ETH Zurich, Switzerland. A preliminary version of this work appeared in the 21st International Symposium on Temporal Representation and Reasoning (TIME) in 2014 .